We will gladly restore your old vintage telephone for you. For over 25 years we have been restoring old phones. Your telephone can be rewired to work on modern systems and we can completely restore your phone to like new or better than new condition. Your antique telephone can be fully functional or you can do the partial restoration of your choice. If you have missing parts, we have the original parts for most models. It doesn't matter what you have. We have worked on Western Electric candlestick telephones, Automatic Electric monophones to wood wall phones. Many of these phones do not ring or even work. Some require cosmetic work. No matter what you need we can help you. Old phone shop is your vintage telephone headquarters and we can restore or repair all makes and models. Many prefer to do telephone restorations themselves. For the person who can do it themselves Old Phone Shop offers parts here on this website for your purchase. We have many items not listed. So if you cant find something you need just contact us. Chances are good we have it. 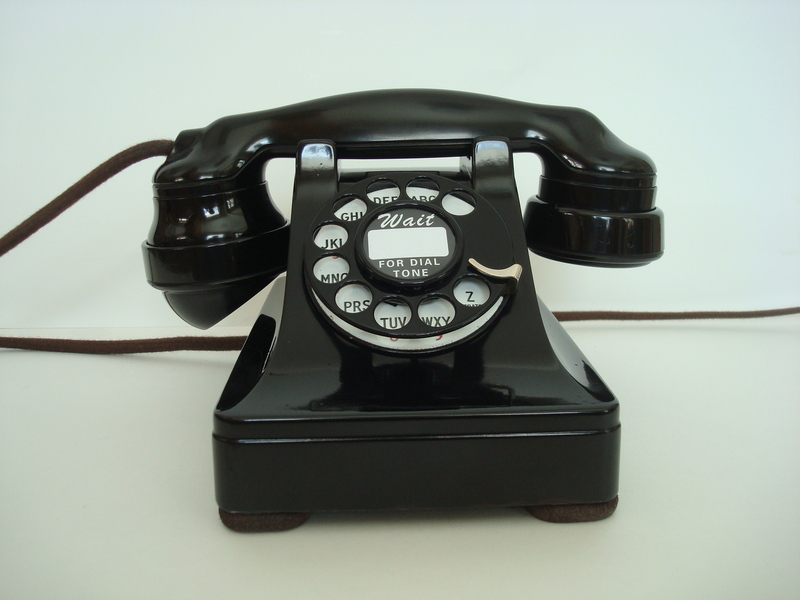 As you can see from the beautiful phones we have on this website, restoring antique telephone are our passion. Our restorations include many old phones for the telephone collector, museums and also the ordinary person who just wants a nice piece for display. Each complete restoration is a beautiful working piece of history. Free estimates are gladly given. If you are considering getting your vintage telephone restored just contact us. Services such as powder coating and expert nickel plating as well as bead blasting and painting of your phones are offered as well. We also offer dial repair. We can repair slow and frozen up dials. We will clean, calibrate and lubricate them so they will work for a long time to come. Please check this out on our website and look under our Powder coat Service. If you are sending us your telephone for repair or sending parts for plating or powder coating. Please pack well. Inside the shipping box please include your name, address and email so we can get back to you in a timely matter.
. We will contact you with an estimate on all labor and parts before any work is started.
. All completed work is well packed and shipped with insurance . You will receive a tracking number thru the USPS or Fed Ex . We try our best to get restorations finished in a timely matter and usually we complete work sooner than stated . Most of our great customers are eager and anxious to get their telephone equipment back and pay us upon receiving the bill for work. We appreciate that. As of December 1 2014 anything not paid for within 90 days of billing or contact stating the work has been completed will occur a 5% monthly charge. After 365 days the unpaid item will either be sold for unpaid charges or used for parts.